JD, Roy and Andrew were honored to take part in an episode of The Official Adventures in Odyssey Podcast. 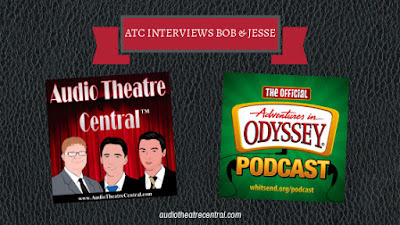 The ATC hosts were asked to help the AIO Podcast team celebrate their 10th anniversary by conducting a special interview of Bob Smithouser and Jesse Florea, the hosts of the OAIOP. The guys ask Bob and Jesse about their beginnings with Focus on the Family, how they began working on Odyssey and what keeps them busy in their spare time. They also chat about how AIO has affected them and their families and also share a tidbit or two about what may be coming up in the series. Head on over to whitsend.org to check out the episode. If you decide to comment on the post over there, please thank them for inviting ATC to be a part of this special episode.